For Halloween this year, I wanted to create some easy and fun living room accessories. 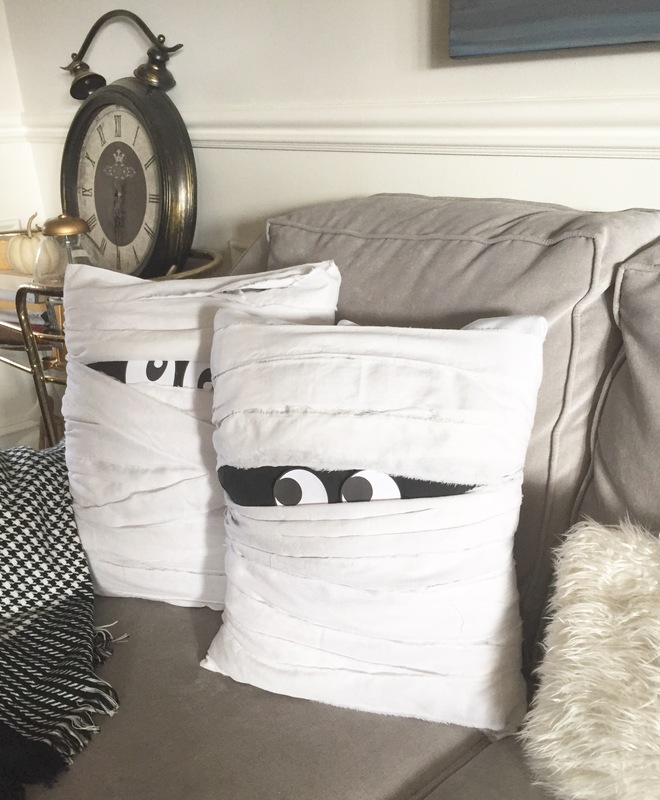 Since I love using black and white in my Halloween decorating, and I wanted to keep my costs low, these cute mummy pillows were just the ticket. 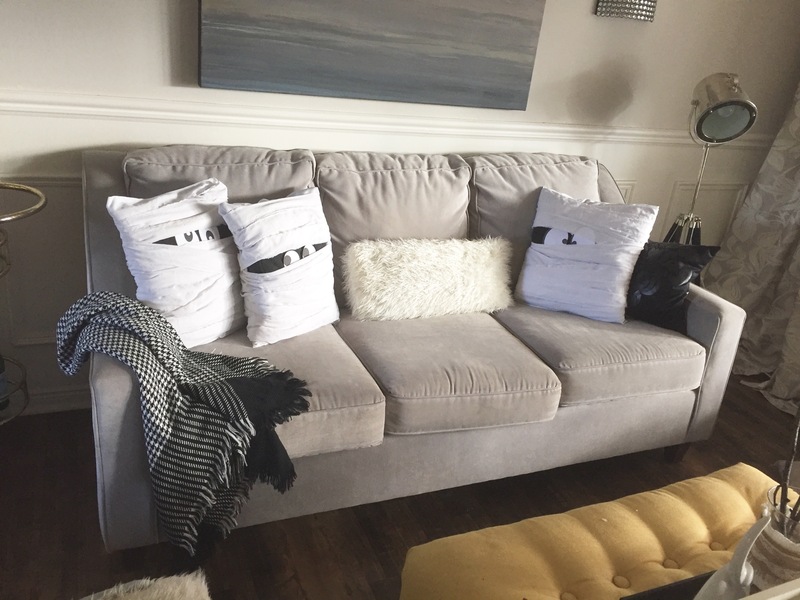 Here are my completed (and spooky) pillows. 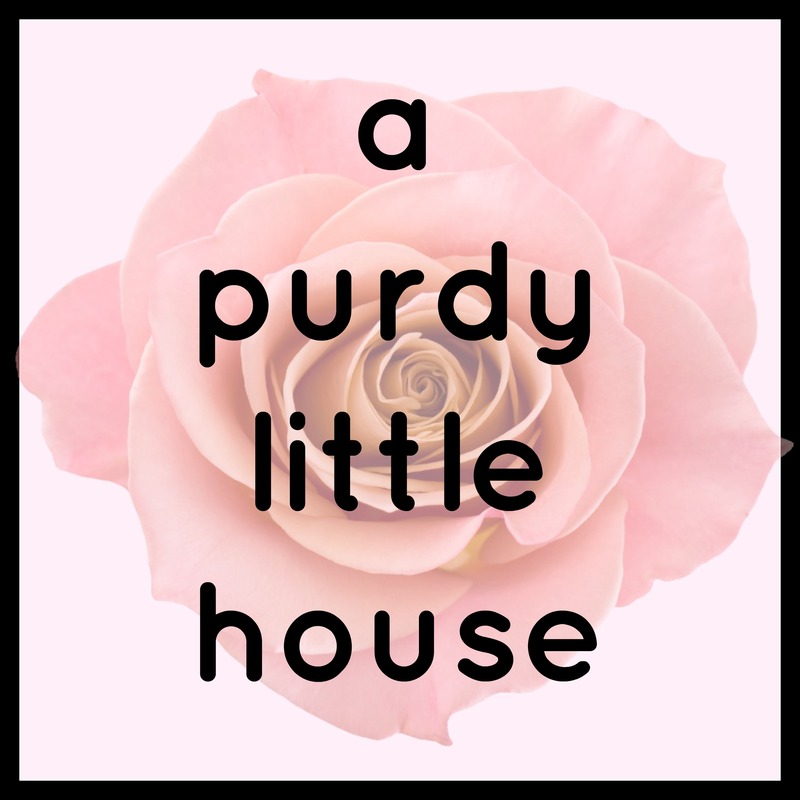 I shopped my house for all the necessary items for my pillows. 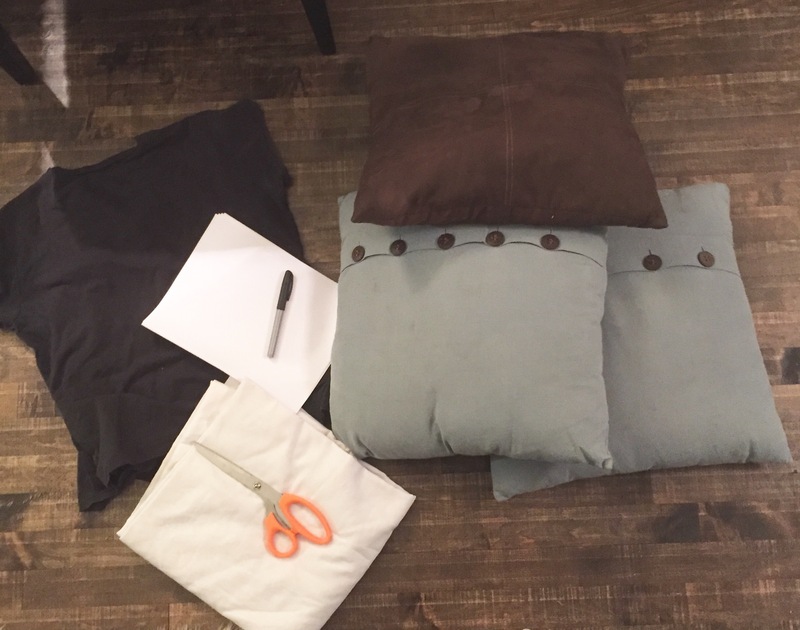 I gathered some cushions that weren’t being used from my basement, an old white flat sheet, three black t-shirts from my closet, scissors, and paper and a sharpie (I ended up not using the last item, but I’ll tell you more about that later). I started out by cutting and ripping up my white flat sheet into 3-4 inch strips. 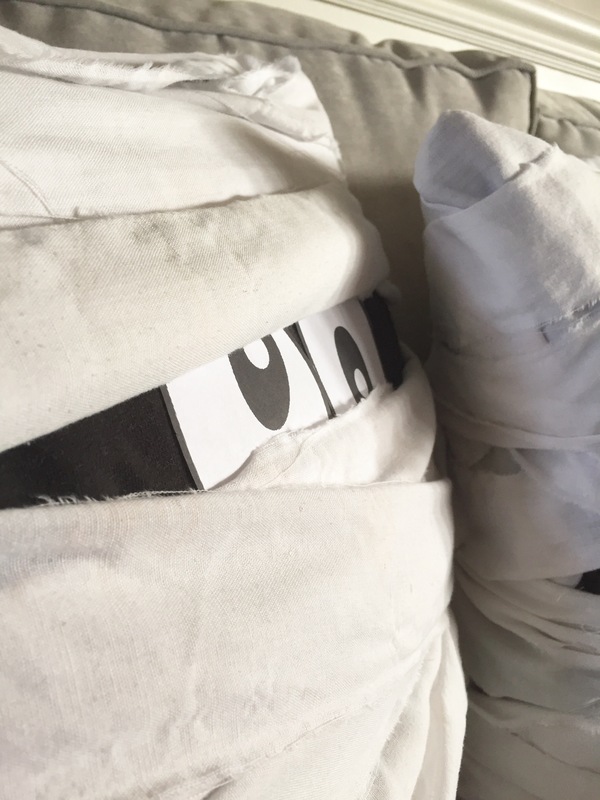 I cut them out, and tucked them inside the strips of the sheet to make it look like the mummy was peeking out. Felt would also work well to make the mummy eyes, but since I was determined to use what I had on hand, mine are just made of paper. Here are my completed mummy’s. I think they are so frigging cute. I’ve had to instruct the kids not to play with them, and as long as they listen, they should be fine. Lol…. We’ll see. 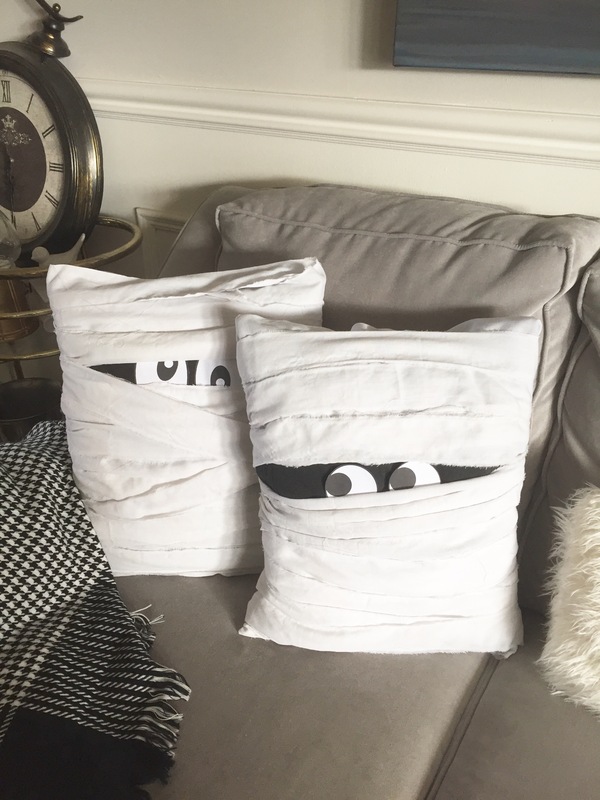 Total cost for my mummy pillows – $0.00!!!!!!!!!!!! The only item I wasn’t sure about having around the house was the white sheet. I figured if I couldn’t find a white sheet (that I didn’t mind ripping to shreds), then I would have to pick one up at my local thrift store, where they are usually sold for about $5.00 each. WATCH OUT FOR THE MUMMY’S!!!!!!! Very fun, and I’m sure they garner many smiles. Thanks Lulu. The kids do love them. They just can’t be having any pillow fights with them. Lol.